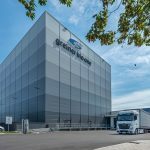 6 months after the merger between Alstef and BA Systèmes to create one of the leading suppliers of intelligent intralogistics solutions, B2A Technology announces its offer enrichment in complete intralogistics solutions with an order picking solution based on AGV technology. 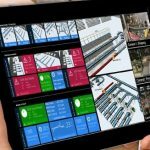 Adopting the Factory of the future approach is to benefit from several intrinsic innovations carried by the equipment itself. 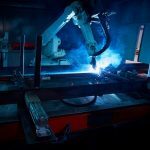 Workspaces become mobile and meet the interconnection and flexibility needs of tomorrow’s industries. 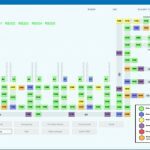 It is in this context and to meet the growing needs in mixed packaging that B2A Technology launches a new automated order picking solution. 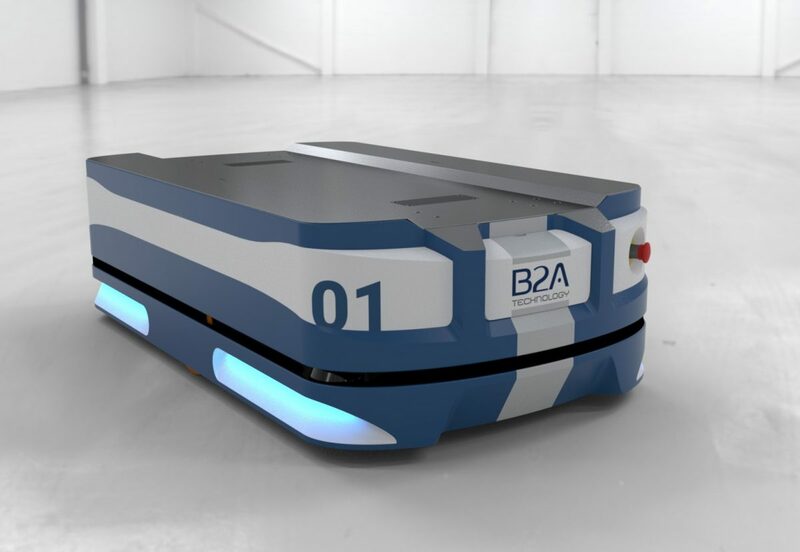 Playing the role of a symbolic link between production and specific order picking needs, B2A Technology’s solution is based on fast and compact AGV robots replacing traditional conveyors, thus saving up to 20% of floor space and helping to optimize order picking. Very flexible, the system can handle important flow rates and evolve with the needs. 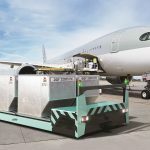 Compact and space-saving AGV, LoadStar is designed to transport unitary pallet. 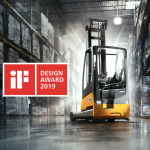 Robust, it picks -up and drops-off, via its lifting platform, pallet weighing up to 1400 Kg on the short side or long side depending on the application, with a high level of performance (both in speed and acceleration). Several order picking islands (manual or robotic layer deposit or preparation per carton) can be reached by these new mobile robots, from several sources of loads’ input/output such as storage by stacker crane, receiving, production outputs, etc. 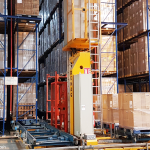 Once the customers’ pallets have been assembled, the AGVs take them to the various strapping, wrapping, labelling and shipping preparation operations, based on Alstef technologies. 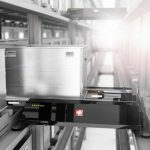 Very dynamic, this new AGV solution optimizes preparation cycle times. Thanks to its optimal energy management with Opportunity Charging (system that adapts battery charging cycles according to the use and engagement rate of the AGVs), LoadStar is provided with a lithium-ion battery system. This new solution is intended for all industrial sectors wishing to acquire more flexibility in the internal transport of their pallets (agribusiness, bottling, etc. ).